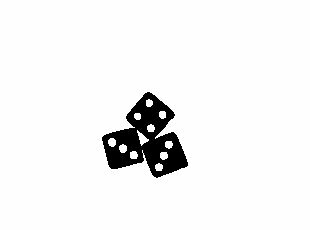 The following tutorial describes one way to use a vision system to count the values of dice after they are rolled into view of a camera. 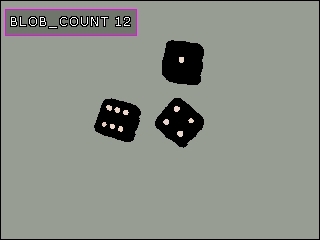 Our first example starts with an image of some colored dice. which we can clearly see is not the right count. 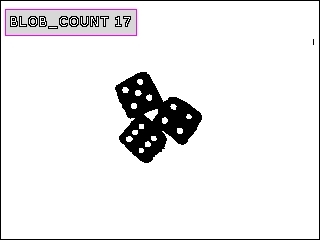 We would expect the count to be +1 given the background white blob but 17 is incorrect (+2). 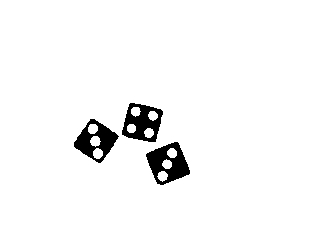 The reason for this is in the middle of the dice a white blob is created due to the dice touching each other. 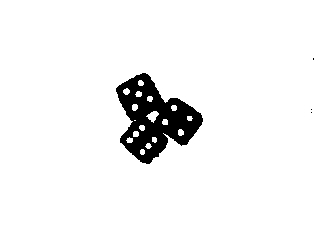 We could remove this incorrect blob using size but that would restrict the camera movement to the same distance from the dice otherwise the actual spots may be removed if they become larger with camera movement. 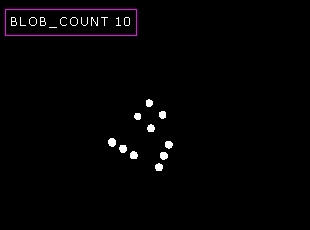 Instead, we can use the Blob Colorize followed by the Blob Filter to remove all blobs whose original average intensity is below a certain amount. As the center blob is darker than the white spots we can use intensity to remove this erroneous blob. You can see the effect of the Blob Colorize module in that the background blob approximates the color of the surface we are using (plastic table). 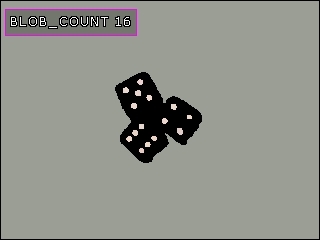 Now the count is correct (minus 1 for the background). 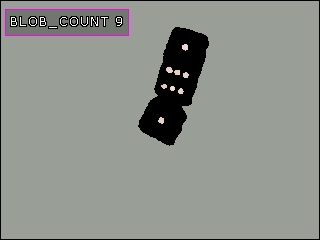 When viewed on a live camera this count can flicker at times since the spots may momentarily become connected. This is normal camera noise which we can reduce by using an Average module which will average together serveral images (10 in our case) to produce a much more stable image. You do get some blurring when motion happens but not enought to cause us problems if the number of frames used is kept low. We can then try a couple more combinations. which all seem to work fine. The following robofile can be used to replicate these results. 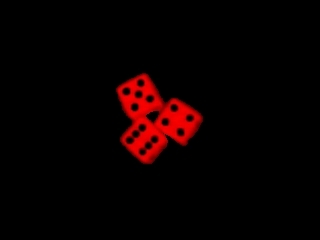 but now our previous trick of removing the inner part of a connected set of dice will fail since the spots are now also dark! In this case instead of using intensity to remove the erronious inner blob we use the Blob Filter to remove blobs that are not very circular in shape. A setting of 0.60 will remove the inner blob and the outer background blob (its not a circle either) to leave us with just our circles that we wish to count. 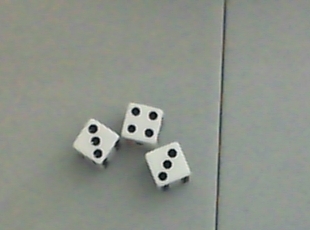 The final count is then displayed correctly for the Black and White dice. The following robofile can be used to replicate these results. However, when viewed with a camera the thresholding technique used (Two Peaks) can cause the image to momentarily jump into an incorrect state. As pixel values will contain noise any global thresholding technique can cause flickering in the image. A more stable technique to use is the Adaptive Threshold module which determines threshold values more locally and is more stable overall. 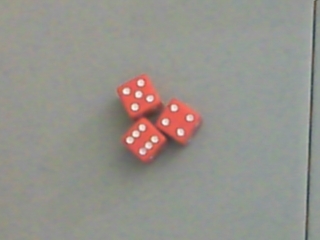 Substituting this module results in final stable dice counter script. You can download that robofile that is used in the movie below.